We even discovered what has to be one of the coolest undiscovered places of Ohio, The Wilds. The Wilds is the largest wildlife preserve in North America. 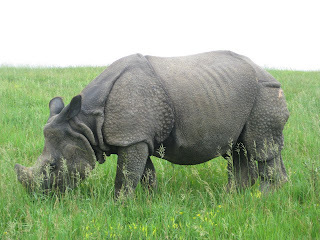 It is 10,000 acres of animals from Africa, Asia and the rest of the world that have been given an open range habitat. 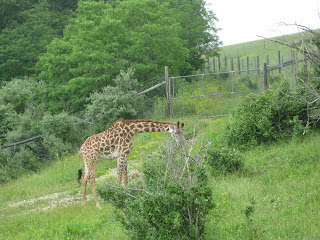 We saw giraffes, rhinos, zebras, cheetahs and other exotic animals, all just roaming around on our safari style tour. We'll be roughing it for our meals this week too, since I am just too tired/lazy to put together any meal plan today. Lots of stuff on the grill and some summer salads too. That place looks awesome! I wonder how far it is from my ILs house...I guess I'll have to figure it out! Wow, awesome shots. And the camping looks soooooo fun. I miss it.